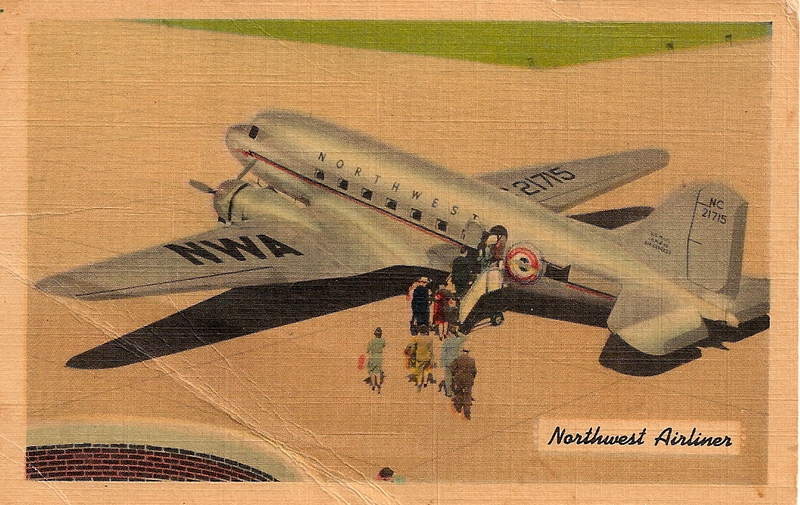 "At take-off time, the luxurious Northwest Airliner has been dusted, polished and freshened up . . . weather data meticulously checked . . . both monster motors tuned to perfection. We're off . . . in safety and comfort! This airport, one of the largest air terminals in the United States, is now an international port with service to Alaska and to the Far East. The U.S. Naval Reserve aviation base is located at this field." 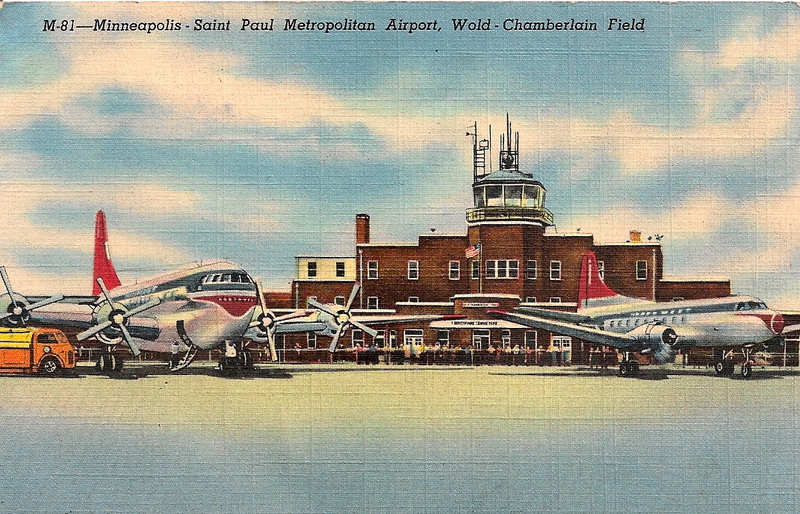 "City of Lakes and Parks"
I remember from my flying days in the 1950s, that Minneapolis liked to claim to be the site of the airport - and St. Paul always resisted their claim. 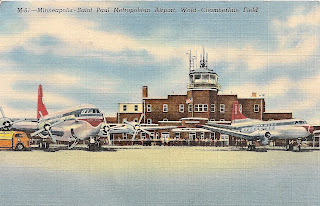 Bob White, a columnist for the St. Paul Dispatch or Pioneer Press, wrote a column about it one day because the stewardess announced that the airplane Bob was on was landing in "Minneapolis." 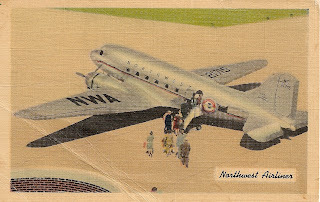 He invited NWA stewardesses for a tour of St. Paul, to show them that it existed, and then to lunch. After lunch he sent them to the restaurant kitchen to do dishes, since he said he couldn't pay for all of their meals. I was there that day - it was fun, and a PR bonanza for NWA as well, as Bob, of course, wrote a feature article with photos about that caper. I didn't keep a copy of that newspaper (probably because I lived in Minneapolis. (!?!) Does anyone out there have one?